That’s mostly due to Bottlenose’s smaller-volumed, 3-barrel system, which Stillman says should be up and running a few months after opening. Until then, you’ll find the 50 taps focused on craft beer from around the state, starting with local brews and working outwards. The pub will sell some bottles (think the 750ml bombers), and it will sell and fill growlers. Taking over the space where World Of Beer occupied before it went under, Bottlenose Brewing has made some major, but mostly minor modifications to change the feel and flow of the interior. Those who remember the large stage at WOB won’t see it anymore, but instead a more open floor plan. The bar top has also been redone, as well as the kitchen. Stillman says the latter was a must, as to ensure a more efficient, better food service overall. The brewpub won’t be table service, but ‘walk-up bar service’, where you’ll order at the bar, get a number, find the perfect seat and have your food brought out to you. And no matter where you sit, you’re sure to have a TV in direct view. Stillman says he’s been keeping his eye out to do something like Bottlenose, and found the closing of WOB to be a great opportunity for him. So what’s in a name? For starters, a whole community. Stillman looked to his already loyal patrons at the beach to help come up with the name – one of many in the running. 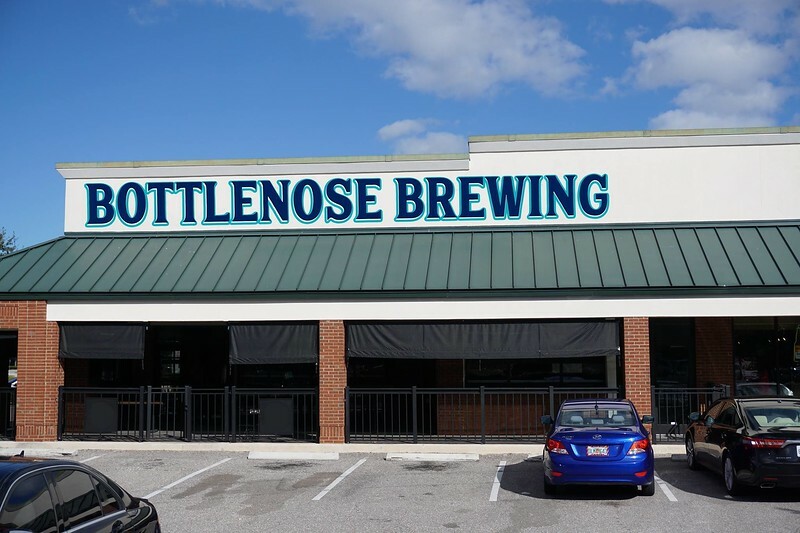 He says Bottlenose Brewing ties together the area, with the bottlenose dolphin at the beach and in the Atlantic, which relates to the origins of the IPA crossing the Atlantic. Follow Bottlenose Brewing on https://www.facebook.com/bottlenosebrewing/ for the announcement of its opening date. Next Page: Jordan de Lugo and Mark Stillman of Bottlenose Brewing share a little information behind the evolution and planned opening of the newest Southside microbrewery.